Experience Europe’s richest culture and history from an entirely new angle. You believe you can learn in the unlikeliest of places about the quirkiest of things, and let your curiosity guide you. You want to go where no other tourist has gone before, and feel like you’re in that secret inner circle. We have a bit of this streak in us, as well. So – here you have it. 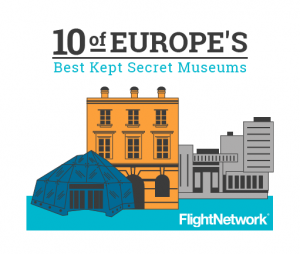 Europe’s 10 Best Kept Secrets: The Museum Edition. Make sure to mention your visit to these hot spots to your friends back home – they may mistake you for a local and ask you to plan their next trip. Travel agent? European museum aficionado? Maybe just a museum buff to us – but we won’t tell. Venture, discover, enjoy! The Overloon War Museum is the largest World War II museum in The Netherlands. This museum succeeds at making its visitors feel as though they are Dutch citizens experiencing the war exactly as it was over seventy years ago. Their extensive collection of war vehicles, bombs and grenades serves as real-life evidence of the atrocities that took place during that time. Visitors are sure to leave this museum blown away by their collection of war memorabilia and appreciative of the minor challenges that everyday citizens face today. For more information, visit the War Museum Overloon here. The Archimedes Museum is dedicated to the countless mathematicians, physicists, engineers, astronomers and inventors of ancient Greece. Much of modern technology, science and scientific theory is rooted in the inventions of academics like Archimedes. This museum details the lives and inventions of the many Greek intelects. It offers re-creations of various inventions which allow visitors to be interactive with the topics at hand and derive a better understanding of just how crucial these inventions were to the development of society. For more information, visit the Archimedes’ Museum here. 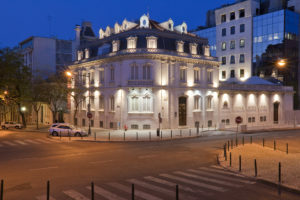 This Portuguese museum features hundreds of collectors items that will suit anyone who loves antiques! The history and development of clock-making are detailed and numerous pocket-watches and clocks are displayed in cases and along the walls. A collection of over eight-hundred porcelain China pieces are also on display, a select few of which boast ancient Portuguese symbols. The relics in this museum cannot be found anywhere else which demands this museum be on any true collector’s bucket list! 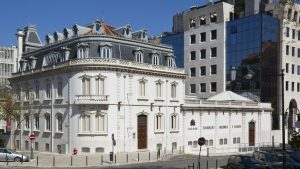 For more information, visit the Casa-Museu Medeiros e Almeida here. The Whitby Museum offers a diverse selection of exhibits, allowing for groups of all ages and sizes to enjoy the establishment! Whether you are in search of ancient fossils or old pirating relics, this Victorian museum is sure to offer something that will catch your eye! Go on a scavenger hunt looking for model ships, toys, facts about social history and different types of jets and fossils! You will never be bored wandering the halls of this exquisite and vast museum! For more information, visit the Whitby Museum here. The lives of those living in Zermatt during the 19th century are chronicled in this intimate museum. Hear the story of the first people who were brave enough to climb the Matterhorn and shudder as your eyes find the infamous famous rope that snapped, condemning four people to death. Take in the sight of the “Theo” the mercenary from the 1500s who attempted, and failed, at crossing the Theodul Pass. Although not as famous as Zurich, this town has a rich, interesting history that the museum does an exemplary job of presenting! For more information, visit the Matterhorn Museum-Zermatlantis here. This museum is truly one of a kind in multiple ways! It is the northernmost aviation museum in the world, boasting a 78.13 degrees north longitude, sitting in the high arctic. It is also the only museum in the world with a permanent exhibition boasting archives from man’s first successful trip to the North Pole, from multiple countries! This museum provides visitors the opportunity to learn a great deal about one of man’s biggest accomplishments, and from multiple perspectives! With the location so far north and the facts about the expedition at the touch of a finger, it would be hard to not picture yourself as one of the harrowing adventurers who was one of the first to reach the pole! For more information, visit the North Pole Expedition Museum here. The Vilna Gaon State Jewish Museum is host to countless Jewish relics and historical documents, as well as artifacts from the Holocaust that bring the horrific events of the 1940s back to life. The museum is split into three areas. The Tolerance Center displays Jewish art relics from the Great Synagogue of Vilna, historical documents and Judaica. The Holocaust Exposition and the Memorial Museum of Paneriai both show crucial pieces of Jewish history salvaged from World War II including relics from the Great Synagogue of Vilna, a door of the Holy Ark, a reader’s desk and a bas-relief with the Ten Commandments. A new exposition site – the Samuel Bak Museum, which hosts paintings of a prominent Vilnius-born Litvak artist Samuel Bak– was also opened last November. This museum does a beautiful job of displaying pre-war Jewish tradition, the atrocities of the genocide, and hope for the future. For more information, visit the Vilna Gaon State Jewish Museum here. Russians are known for many things, one of the most famous being their vodka. The Russian Vodka Museum informs visitors of the history of vodka in the country and how tightly woven the strong liquor is with Russian family life, dining and overall traditions! Walk through the museum with an audio-cassette, indulge in a tasting opportunity or simply skim through the gift shop, enjoy your time at the only museum in the world dedicated solely to vodka! For more information, visit Russian Vodka Museum here. Nestled in one of the northernmost locations of the world, this museum is one of the only experts on Sami culture. This museum details the trading history of Jokkmokk and the little-known segment of locals known as the Sapmi. This museum describes the sensitive balance of people, climate, animals and geography that the Sapmi people have rooted their survival in. For more information, visit the Ajtte Swedish Mountain and Sami Museum here. The Cretan Open-Air Museum showcases countless native plants, herbs and pieces of pottery that played a critical role in Crete’s history. A great deal of the city’s oral history is archived in this museum and this background highlights some of the main pieces of the museum. The exhibit hosts the “cup of justice” that ancient potters made in order to drink the same quantity of wine as one another, establishing equality throughout the group. The wood-sculpting “Tree of Cretan History” is also on display, highlighting the major historical eras that Crete has experienced over the centuries! For more information, visit the Cretan Open-Air Museum here.